Sports Gamo's traditional rifled steel barrel. Sculpted into the black tactical synthetic stock is a Monte Carlo comb and cheekpiece. A two-stage adjustable trigger with manual safety and automatic anti-beartrap safety are standard. Two-color Tru-Glo sights. Great velocity too; 1200 feet per second (fps) with PBA, 1000 fps with Lead! Things I liked: The POWER, the accuracy and the light weight. It comes with great sights (sometimes I prefer them over the scope) and the stock is really strong. Things I would have changed: I would make the scope rail longer. What others should know: I got this gun last december, and after 4 months the sear and spring went bad. So I sent it back to Gamo and when I got it back it had so much power. It was sending gamo match pellets at over 1200 fps! So I think the spring was bad in the other one. Things I liked: Very accurate, light weight and comes with great sights. The synthetic stock is really strong, and there isn't much recoil for the power. Also I like the shotness of it it really handles well. Things I would have changed: I would make the reciever a little longer, I put a long scope on it and had to off the front sight. Not much of a problem though. 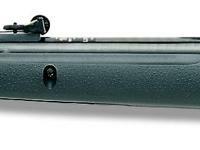 What others should know: Use RWS pellets or any other top quality ones this gun is picky about it's pellets. Things I liked: This gun is real easy to shoot. The open sights really gather light to create a natural sight picture. What others should know: I've read some comments about unsatisfactory trigger pull. My trigger pull is fine. The more I shoot, the more accustomed I get, and the more I like it. I've gotten 5 shot groups at 10 meters, with the open sights, that could be covered completely with a dime. I'm lovin' this gun. Them squirrels better stay away! What is the price of Gamo shadow 1000 .177 caliber? Also how can I tell if it's real? 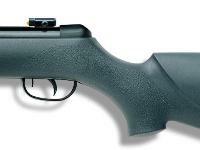 Great for plinking & eliminating small pests.